Introduce the concept of interrupt in Arduino. Get to know the types of interrupts. Show the kinds of Interrupt triggers. I have never known very well why interrupts make veteran developers shake as if they were rookies. I remember the time when programmers were focused on microprocessors (when dinosaurs ruled the earth) and began to play with interrupts. There was a percentage of technicians, either electronic or computer science engineers, that even understanding the idea of interrupts, they simply ignored them as if they couldn’t grasp it. Talk about interrupts to seasoned Arduino enthusiasts suppose, in many cases, to suddenly make them go out to do something else. I’ve never known why this happens, but we will try to remedy it immediately. A hardware event, previously defined. When an event triggers an interrupt, the normal execution of the program is suspended (tidily to be able to come back later) and jumps to perform a special function called Interrupt Service Handler or ISH. When the ISH finishes, the program returns quietly to the point where it left off and continues with what it was doing as if nothing had happened. The concept of interrupt stems from the need to react immediately in response to an electronic event, which admits no delay. Either because of the urgency of the event or because something could be lost irretrievably if we don’t react with sufficient alacrity. But, what is so urgent that it can not wait? Are our Arduinos not fast enough to see if there is an alarm signal every little time? Why do we complicate life with such an outlandish thing? The answer as always is …, well, it depends. Our Arduino can be busy so it will only read the signal from a pin from time to time. And if the signal that appears vanishes before we check it, we will not even know it, because although Duinos are fast enough, an electronic signal is several million times faster. This is another reason why using delays is very dangerous. In technical jargon, to check from time to time how is the issue, is called Polling. On the other hand they offer a huge advantage when organizing our program. We just define the function that will be executed after receiving a given interrupt so that it will be executed when it occurs. We don’t have to check whether or not a given situation happens. We don’t have to worry about it and it runs solely when the interruptitriggers. Smart, isn’t it? (yes, it’s an obsession). Actually, we use interrupts usually in response to unplanned events that take us out of the usual routine. Imagine that you are watching your favorite show on TV and you are waiting for your mate, friend or girlfriend. There are two ways to let him/her come in. One way is to go to the door every, let’s say, two minutes, to check if he/she is astonished at the door waiting for us to open. The other is to establish an interrupt using the doorbell. When your mate arrives, he/she rings the bell. Then you pause the chapter quietly, leave the drink on the table and go to open the door. phone or WhatsApp? It’s the same idea. And the same happens with your Arduino. Why should I give up interrupts and devote myself to going to the door every bit? It is absurd. Interrupts have nothing strange or unknowable. Spend a little time and you will find a wonderful tool that will solve more than one problem cleanly. … we find out that Arduino does not support software interrupts. And then why have we talked about them? Well, because other programming environments accept them and perhaps it will not be uncommon in the future in the Arduino IDE as well. The programmed events or timers are very interesting and will have a own monographic chapter in the near future. But for now let’s deal with hardware triggered interrupts. These hardware interrupts, were designed by the need to react fast enough, in unimaginable short time, to electronic regular working times to which even the software was not able to react. The idea that we must bear in mind is that we are going to define a function that will run asynchronously, without planning, when a given electronic event happens. An Arduino pin that will receive the trigger signal. A function that will be executed when the interrupt is triggered (called call back function)..
DUE All DUE pins can be used to handle interrupts. This means that Arduino UNO can define 2 hardware interrupts called 0 and 1, connected to pins 2 and 3 (For it not to be easy). The Mega, as usual, accepts no less than 6 different interrupts. And DUE very show-off, exhibits its power. LOW, the interrupt triggers when the pin is LOW. CHANGE, the interrupt triggers when it turns from HIGH to LOW or vice versa. RISING, the interrupt triggers in the rising edge (when it turns from LOW to HIGH). FALLING, the interrupt triggers in the falling edge (when it turns from HIGH to LOW). And only one for the DUE: HIGH, the interrupt triggers when the pin is HIGH. Providing that we have connected the interrupt signal to Arduino pin 2, let’s see some examples of interrupts. It is a kind of tradition in Arduino, to use a push-switch button to illustrate the concept of interrupt, so we will submit to it. Let’s use a typical circuit to read a button using a pull-up resistor. The result would be normally 1, because of the pull up, and the reading would drop to 0 when pressing the button. There is nothing new in this. First, note that we have eliminated the definition of pin 2 as an input, because we will not use it as an input strictly. To define the interrupt is enough. Second, we use the attachInterrupt() function passing as parameters the interrupt 0, which is the pin 2 of the Arduino UNO board. If it had been the interrupt 1, we would have connected it to the pin 3. We pass the name of the call back function ButtonHandler() function, which is easy as ABC. The global variable counter, keeps the number of keystrokes. The only thing that makes the ButtonHandler function is to increase the counter by one each time you press and then comes back. And finally the kind of trigger is FALLING because its state is normally HIGH and it turns to LOW when pressing the button. We will use the trigger with the falling edge. The loop checks whether the number of keystrokes has changed and if so print it, but it can devote itself to doing anything else, because we will not lose any keystroke. It may seem an extravagant way of doing things but do not tell me that is not elegant. In fact, all modern high-level languages for Windows, Mac or Linux use event-driven programming, which is basically something like this (relatively speaking, of course). When you press the button, the displayed number does not increase one by one but abruptly. Why? Well, as we said in a previous chapter, it is due to the push-button switch’s bounces. We said in the chapter “Conditionals and buttons”, that in order to eliminate the bounces we have to do the debouncing so we used a delay of 250 ms. But we will have a problem. We can’t use a delay within an interrupt. It does not work. I beg your pardon? Do what you want but do not delay. Finish as soon as possible and get out of there. There are things that do not work, as the delay() functions, millis() and anything that relies on interrupts or timers. Do not even think about writing a Serial function within an interrupt, they are very slow (and they do not work because they also depend on interrupts). You must understand that an interrupt is like a state of emergency, which can be used without hesitation, but understanding that the job must be done and get out as soon as possible. In fact, an ISR or call back function can not return parameters nor receive them. Besides, when we define a global variable, as counter, which depends on an ISR function, it is recommended to define it as volatile and not as a normal global variable. Strictly speaking, volatile is not a variable, but a directive to the compiler. This means that the variable in question, must be stored in a certain way to avoid some rare problems that can arise when a variable can be changed by the ISR or the program (which does not happen in our example). Under certain circumstances it may arise a conflict and using volatile avoids it, therefore it is always recommended doing this way. First, we define counter as volatile, as medical prescription, and define another global variable to store the time, T0, from which we will count. reasonable time has passed we increase the counter. The advantage of this system is that it does not freeze the processor with a delay, but we let it continue its work, attending other interrupts, for example. But…, wait a moment! Did not we say that millis() does not work within interrupts? So it is. While an interrupt is active, millis() is frozen and its value will not change, but it can still be read. While you are inside an interrupt, all other interrupts are ignored, so nothing that depends on other interrupts works. That is why it is so important to leave soon, to ensure that we do not miss anything of interest. While an interrupt is active, millis() and micros() are frozen. That means that if you have a few thousand interrupts per second (as if you were measuring the frequency of a wave audio) the time measured with millis() or micros() can be distorted. Interrupts(), restarts the interrupts defined with attachInterrupt(). We have known the reason and the concept of interrupts. We have started by studying hardware interrupts, leaving timers for further sessions. 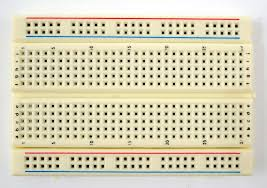 We have seen that Arduino UNO only have 2 interrupts, called 0 and 1, on pins 2 and 3 respectively. We have seen the possible kind of triggers for an interrupt: by rising edge, by falling edge or LOW.